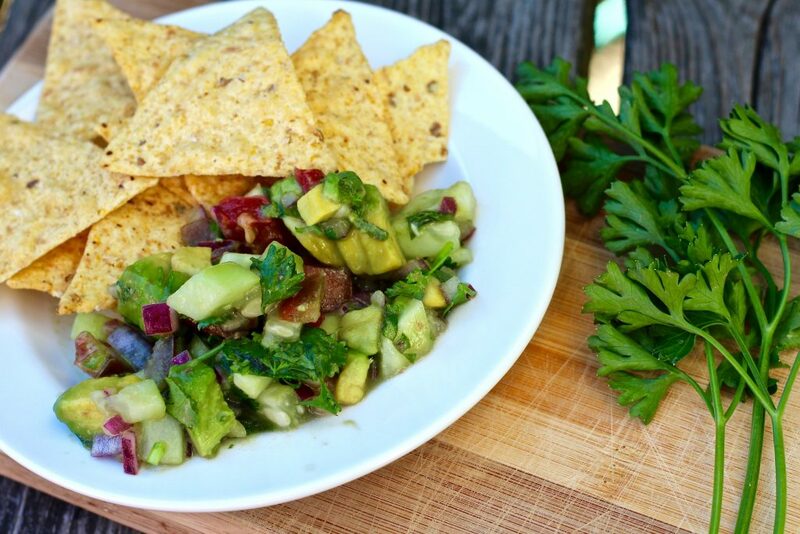 Okay, okay I know that sounds like a big claim… fresh cucumber avocado salsa that will change your life? 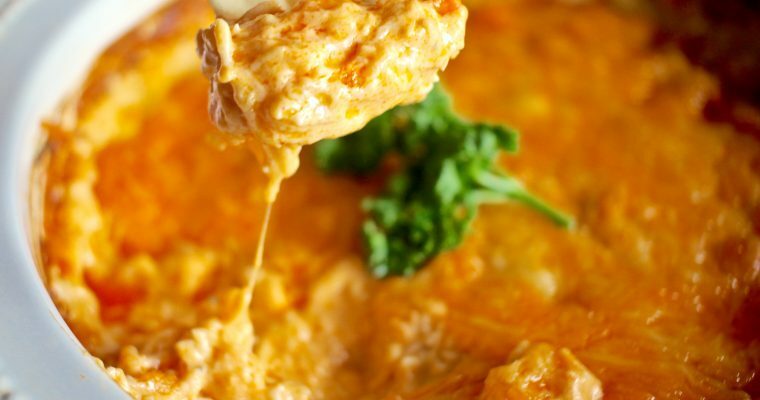 But if you are a chips & dip lover like me, it really will! 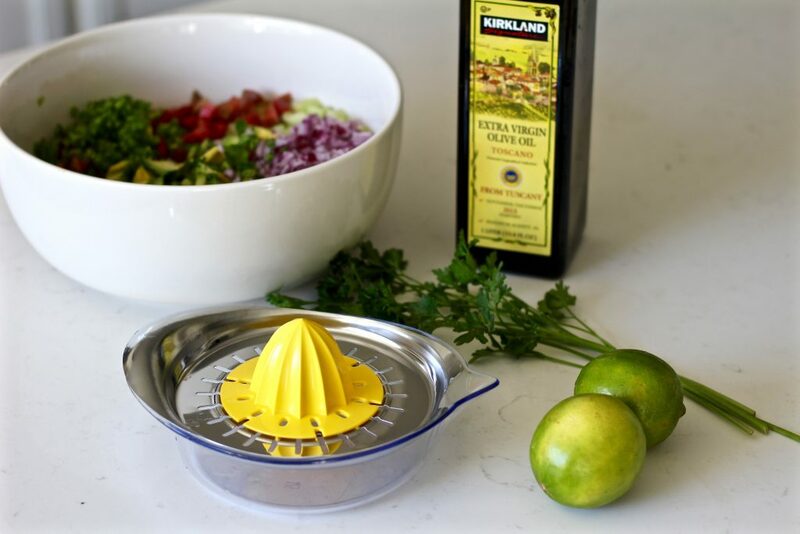 The freshly prepared salsa is so zesty, delicious, and nothing like the stuff that comes in a can. The first time I tried making a fresh salsa with peeled cucumbers in it was for this shrimp ceviche and it became an instant favorite. 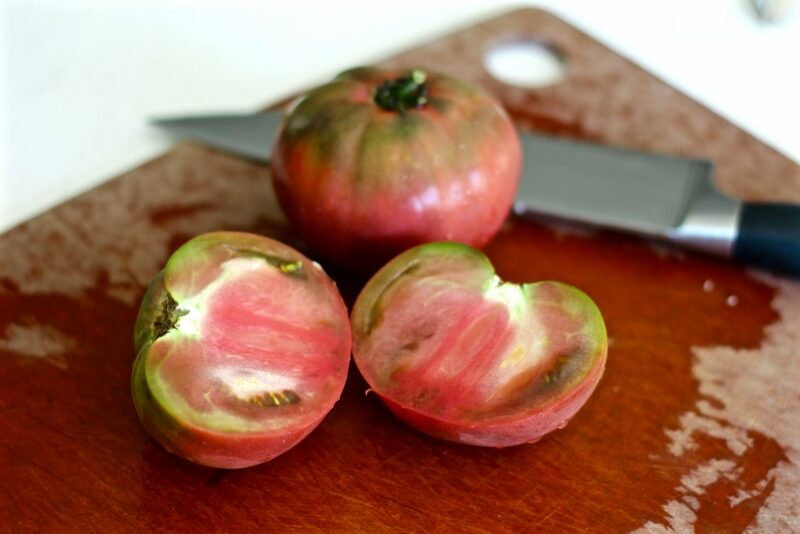 The texture is just perfect when you remove the peel on the cucumber and I love that the salsa isn’t too tomato heavy this way. 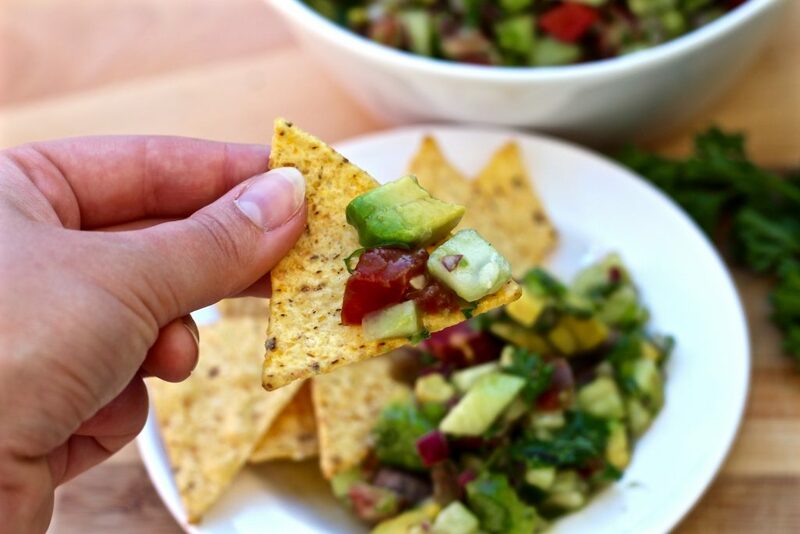 The ripe and creamy avocado makes this a very filling appetizer and pairs so well with the zesty lime juice and little bit of spice from the jalapeño. 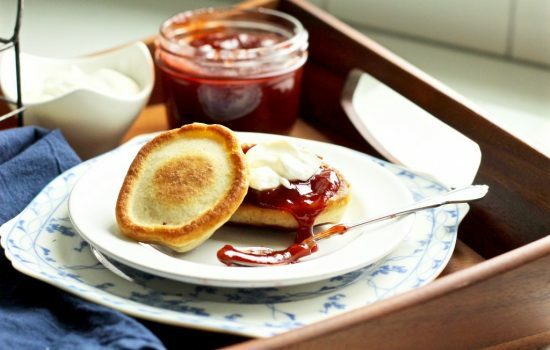 The great thing about this dish is you can adjust the amount of each ingredient depending on your taste preference. 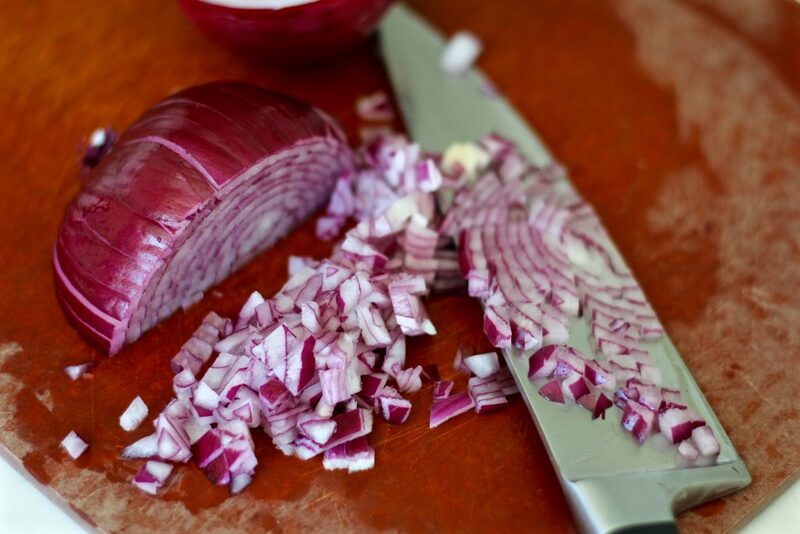 Love red onion? Add more! Not a fan of spicy foods? Use less jalapeño! Totally up to you. Peel and dice the cucumber. 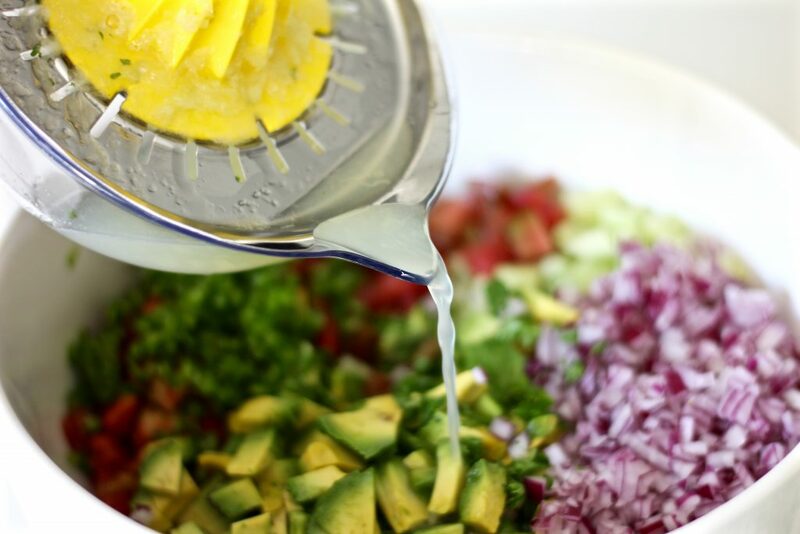 Don’t skip the peeling…it really changes the texture of the whole dish. 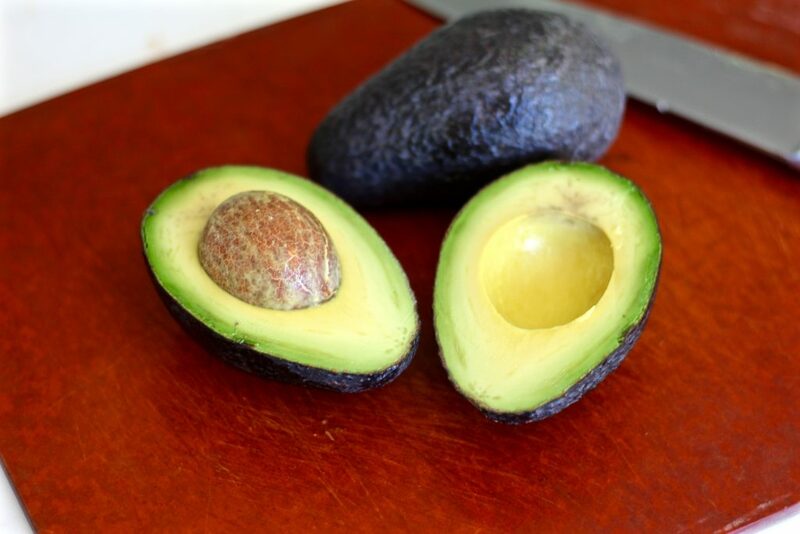 Halve, pit, peel, and dice the avocado. 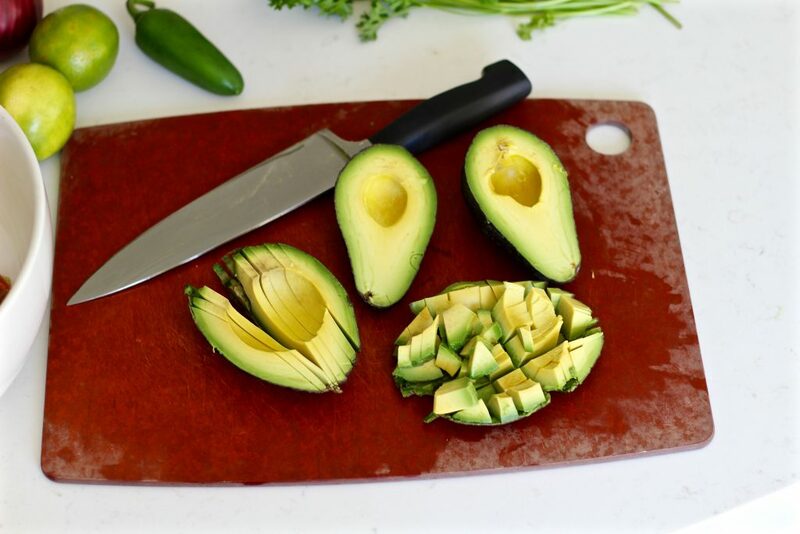 Make sure that the avocado you’re using is ripe enough or else you will run into some trouble with pitting and peeling it. Core, seed, and dice the tomatoes. I used heirloom tomatoes for my salsa, but just about any variety works. Peel and finely dice the red onion. Red onions are usually found in non-cooked dishes because they are the most sweet and mild, so make sure you get this kind! 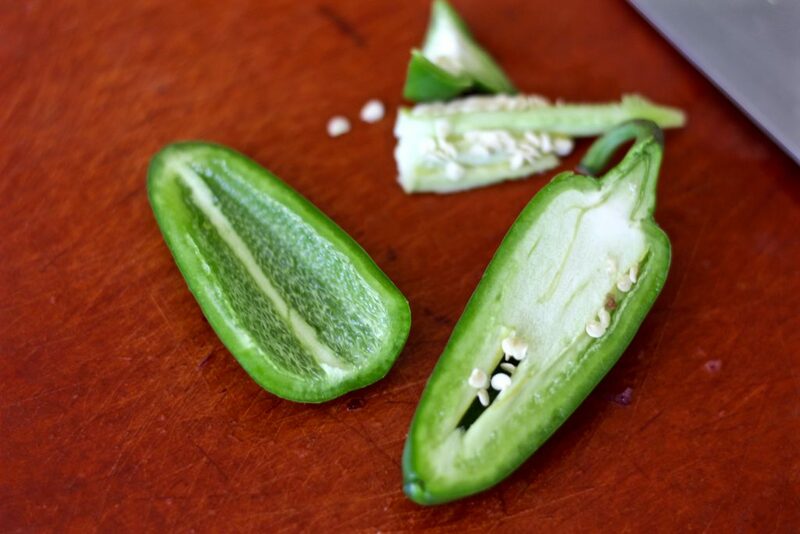 Mince the jalapeños, removing the ribs and seeds first if you prefer less heat. Rinse, then chop the desired amount of cilantro. We love cilantro in our house, so I used a very generous amount of it here. Season to taste with salt. 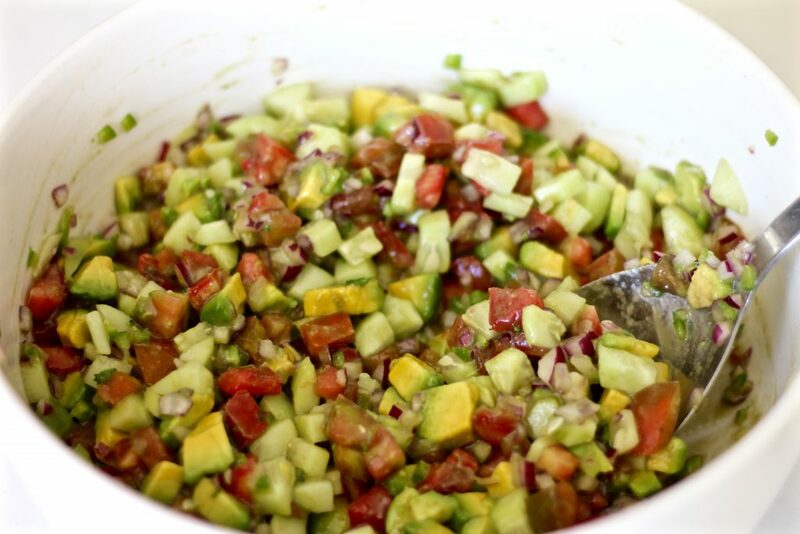 If you’re learning just what it means to “season to taste”, the fresh cucumber avocado salsa is perfect to practice on. Just keep adding a few pinches of salt, stirring, and tasting until you get the perfect level of saltiness that you’re looking for. 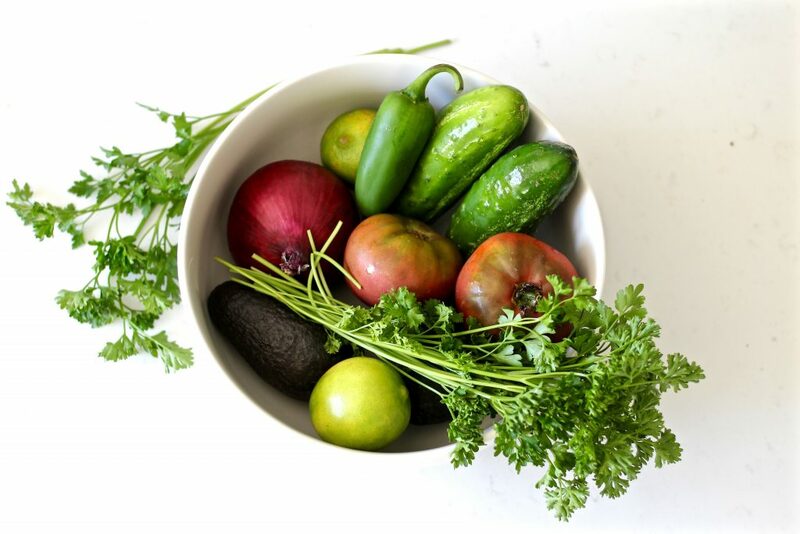 Serve this fresh salsa as an appetizer with tortilla chips or as a side for your favorite tacos. 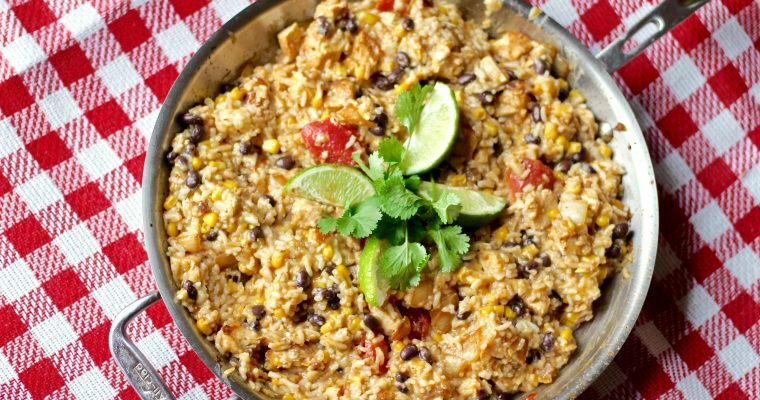 Warning: canned salsa will never taste as good after you’ve tried this! 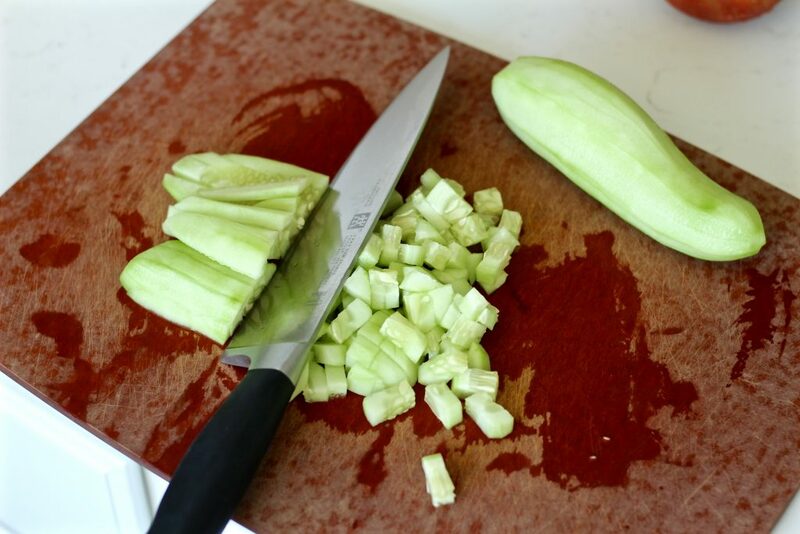 Peel and dice the cucumber. 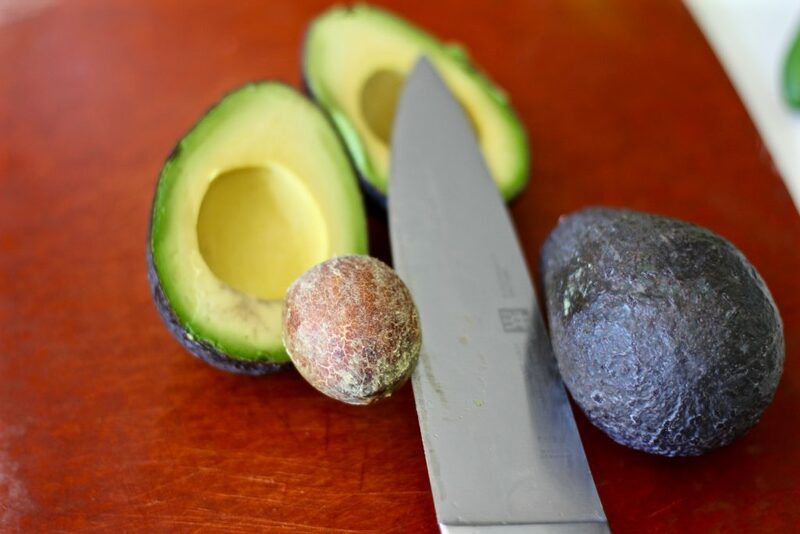 Halve, pit, peel, and dice the avocado. Core, seed, and dice the tomatoes. Peel and finely dice the red onion. Rinse, then chop the desired amount of cilantro. 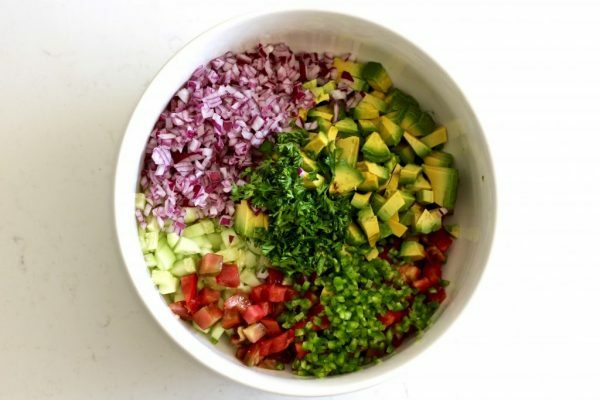 Combine all vegetables in a bowl and toss them in lime juice and 2 tablespoons of olive oil.